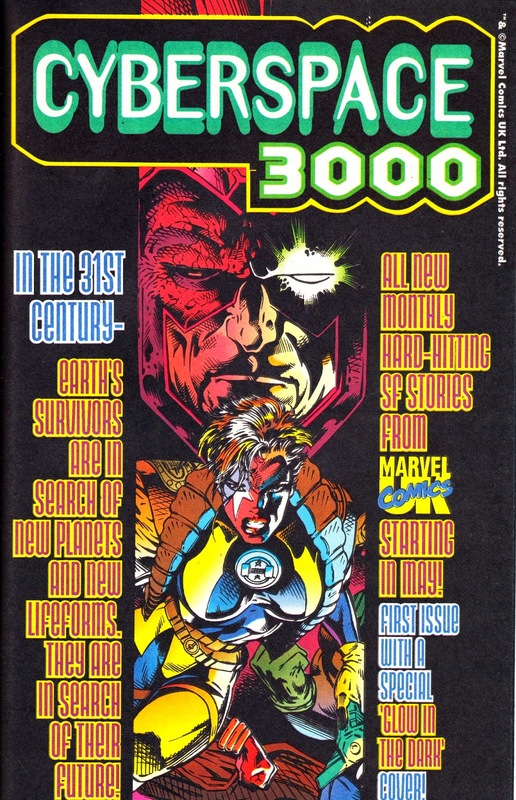 The Launch Ad for MARVEL UK's CYBERSPACE 3000, from the GENESIS 92 line of US books. This appeared in titles cover-dated July 1993. There was never a UK edition (OVERKILL skipped it).